Hon’ble Governor of Kerala, Justice (Retd.) 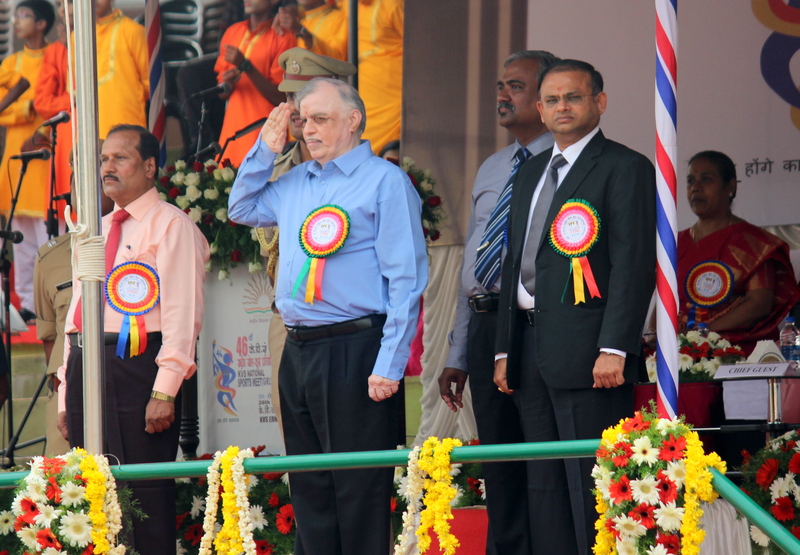 Shri P. Sathasivam taking salute at March Past. The March Past of the participants from different KVS Regions was followed by a colourful cultural treat presented by around 1500 students from KV Pattom (Shift-I), KV Pangode and KV Adoor.